** If you’d like to opt’d out of your donation at any time, please contact Our Center directly. Commit to grocery store gift cards. Commit to donate monthly to Our Center. How much would you like to commit to gift cards per month? 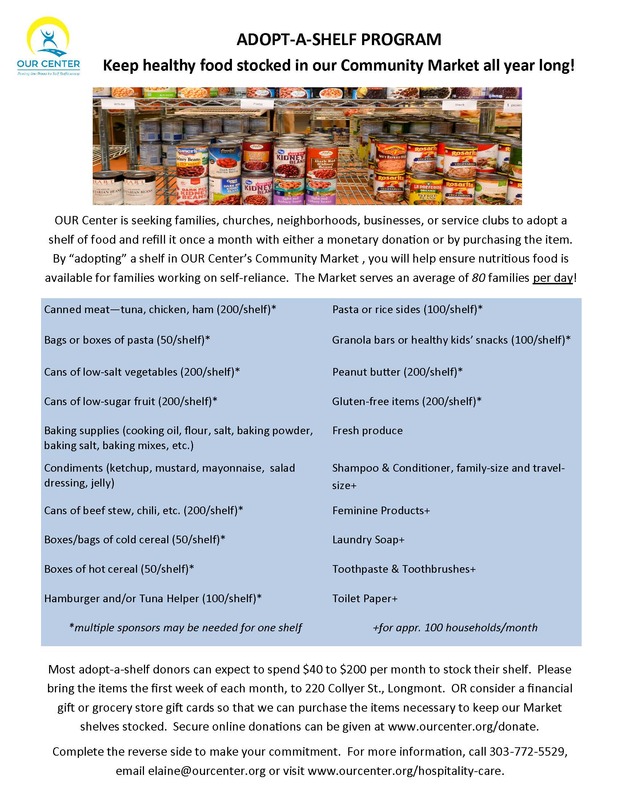 How much would you like to donate to Our Center per month?